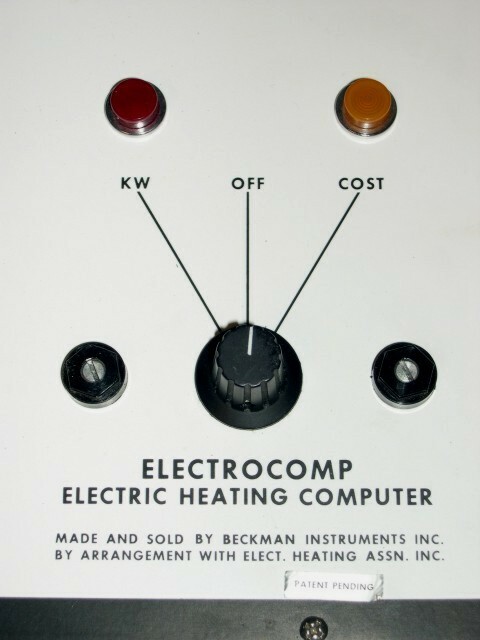 EarlyComputers: The Beckman Electrocomp Electric Heating Computer. 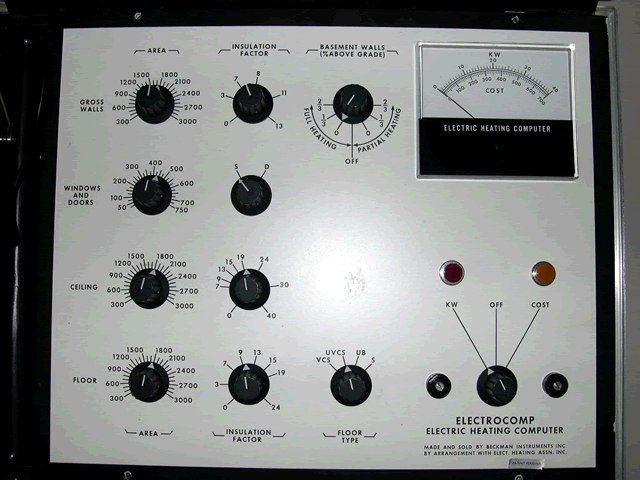 Beckman Instruments, Inc. made a number of very large analog computers starting in the early 1960's. 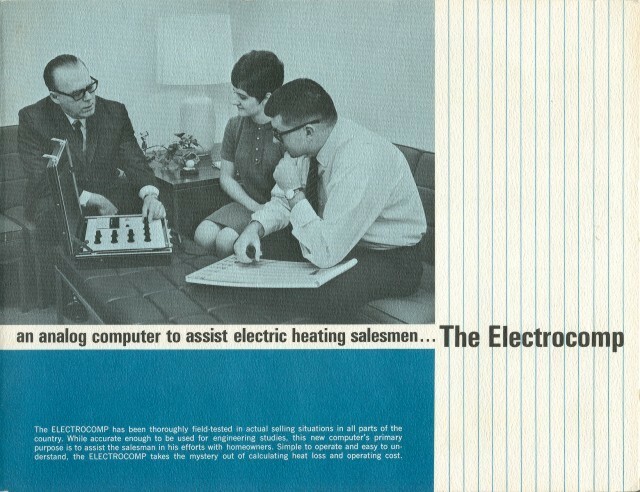 This was one of their smallest computers. 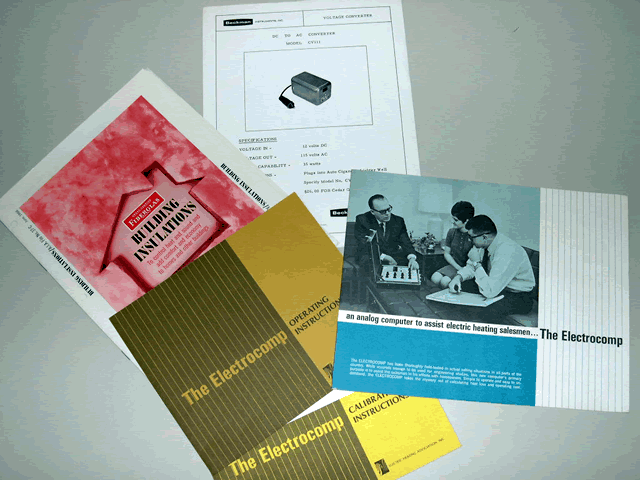 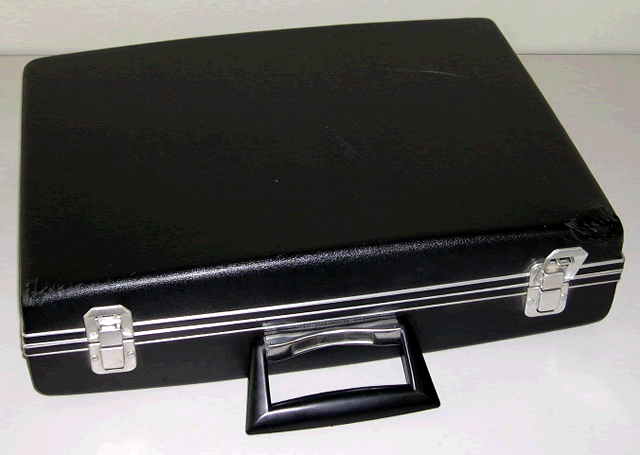 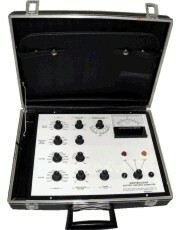 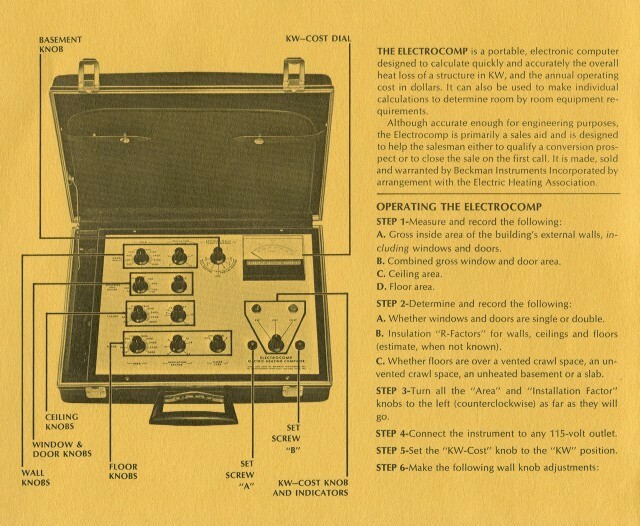 The Electrocomp, which was made in cooperation with the Electric Heating Association, Inc., is an extrememly basic portable computer. 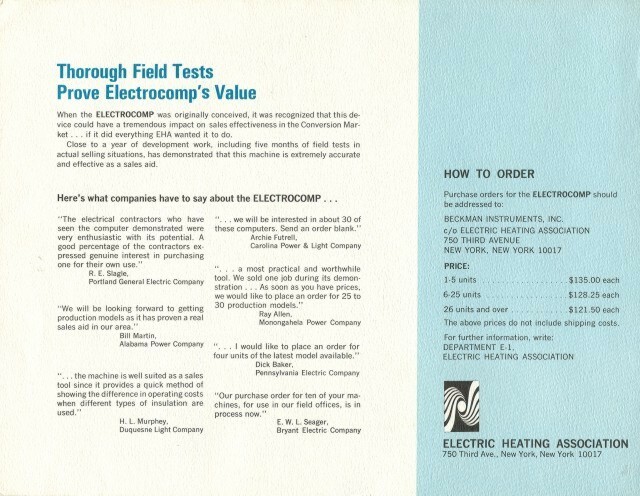 It was used to assist electric heating salesmen with heating calculations. 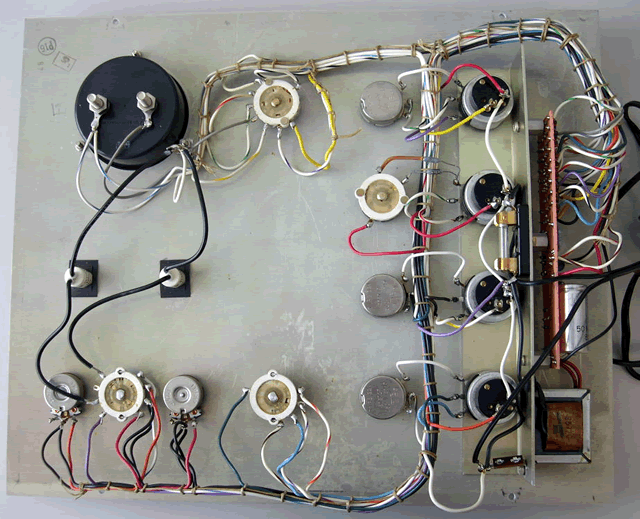 Inside, there are only a few diodes, resistors, and capacitors. 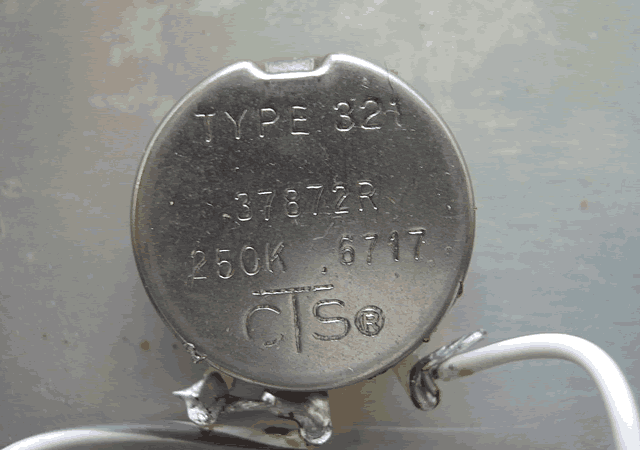 We couldn't even find a transistor, let alone an integrated circuit! 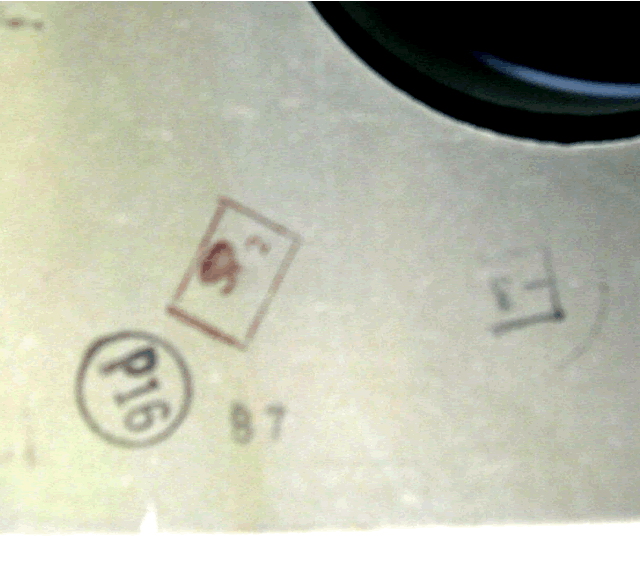 The original selling price was $135. 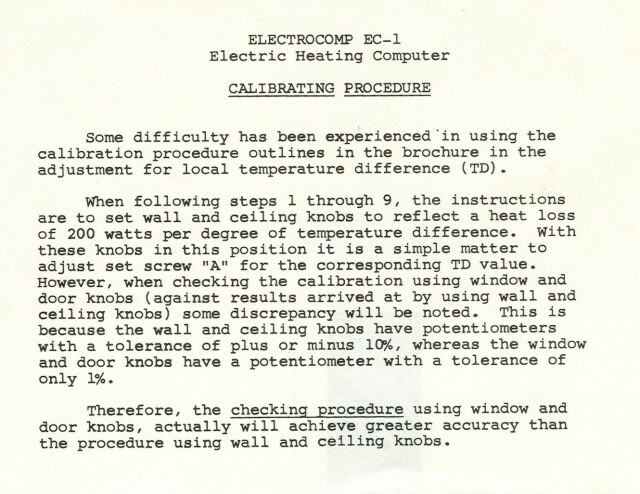 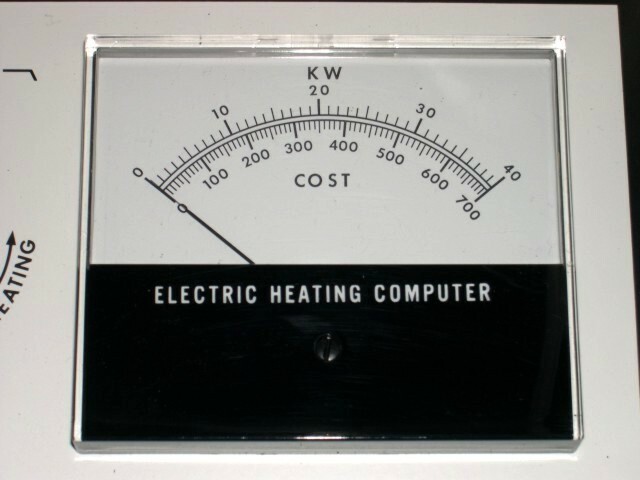 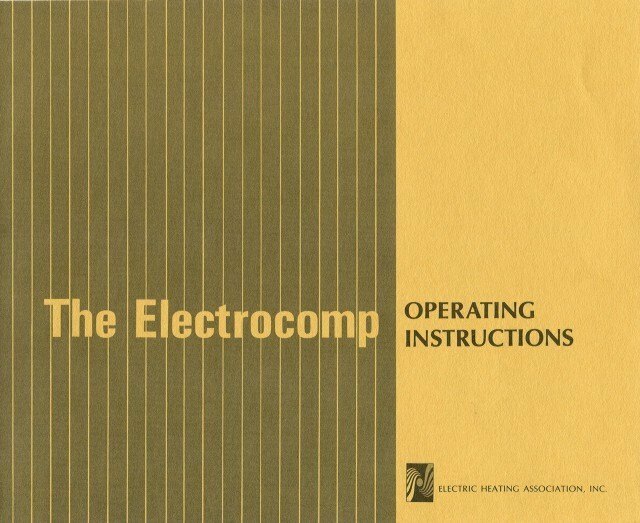 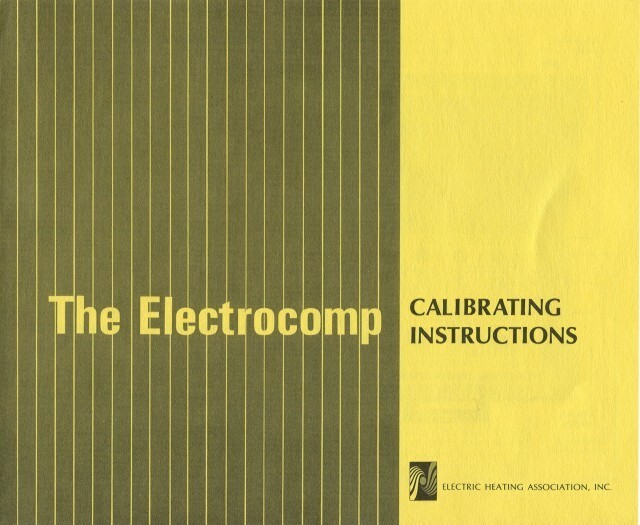 "The Electrocomp is a portable, electronic computer designed to calculate quickly and accurately the overall heat loss of a structure in KW, and the annual operating cost in dollars. 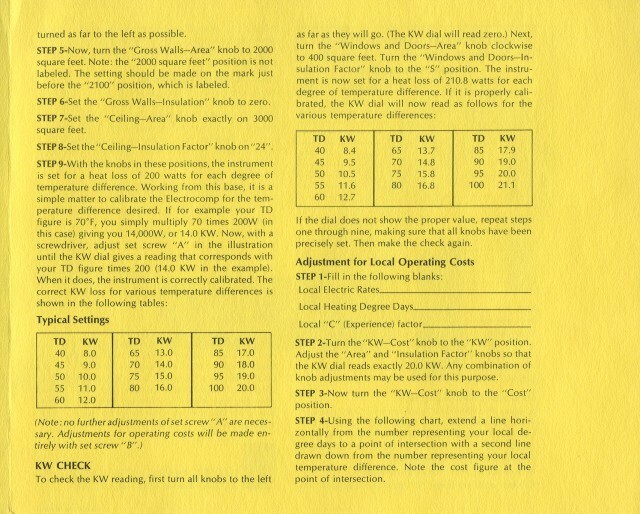 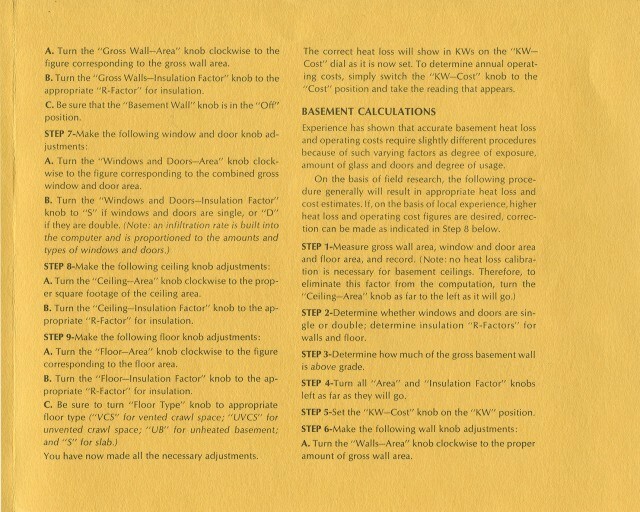 It can also be used to make individual calculations to determine room by room equipment requirements. 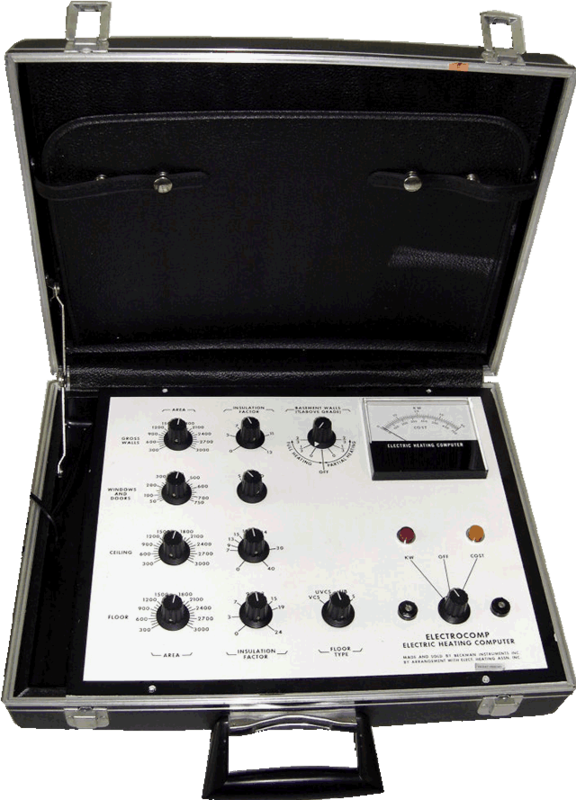 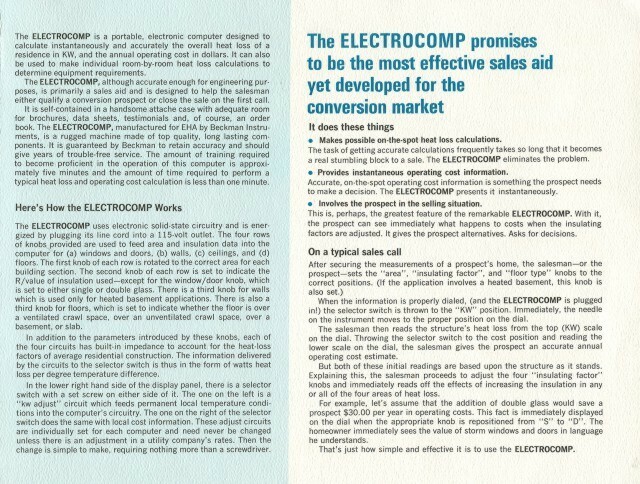 Although accurate enough for engineering purposes, the Electrocomp is primarily a sales aid and is designed to help the salesman either to qualify a conversion prospect or to close the sale on the first call. 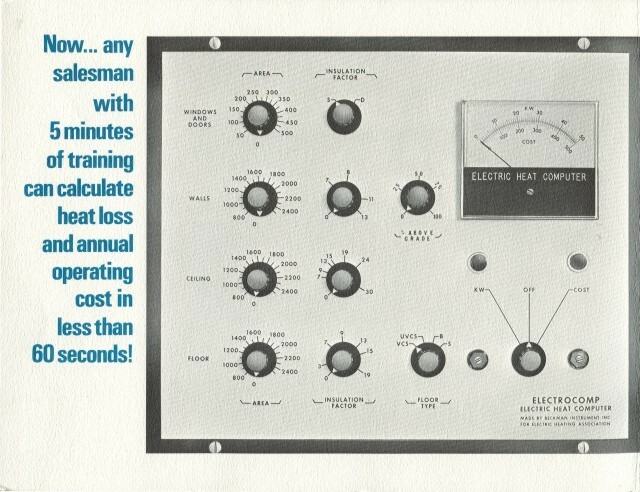 It is made, sold, and warranted by Beckman Instruments Incorporated by arrangement with the Electric Heating Association."